Don’t be too quick to believe everything you read in an email, especially if it’s been sent by someone you weren’t expecting to hear from. 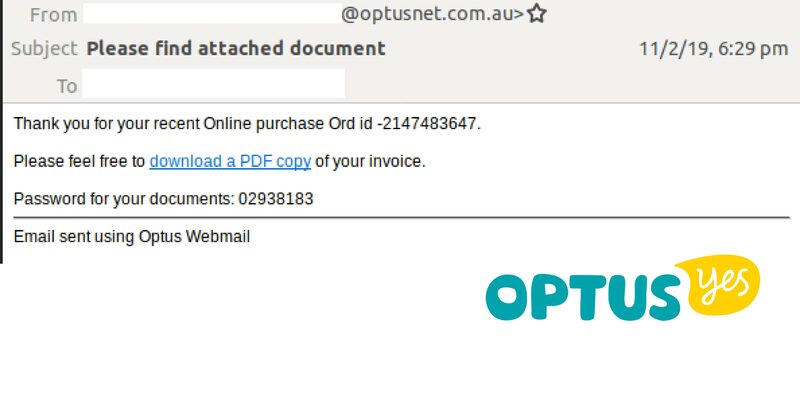 Multiple inboxes are being hit by malicious emails, all purporting to be from Optus and using the domain ‘optusnet.com.au’. MailGuard detected the first of these email scams last Friday, 8th Feb 2019, although it has been verified that these emails originally started hitting inboxes at a previous date. This email scam is currently ongoing. 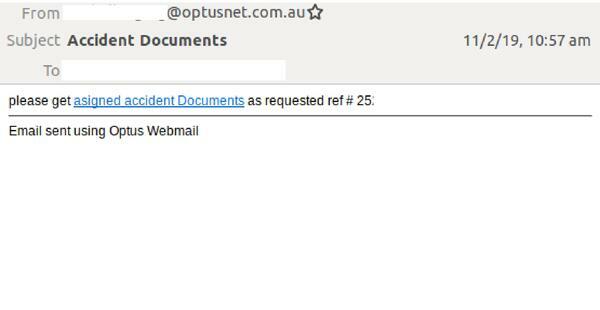 These emails appear in multiple variations, ranging from remittance advice to car insurance document scams. MailGuard understands they originate from a large number of compromised email addresses using the same domain. The format of these emails is similar, with most appearing in plain-text form. They advise the recipient of a document that is available for them, with a link to access the said document. In most cases, the links lead unsuspecting recipients to a malicious file download. 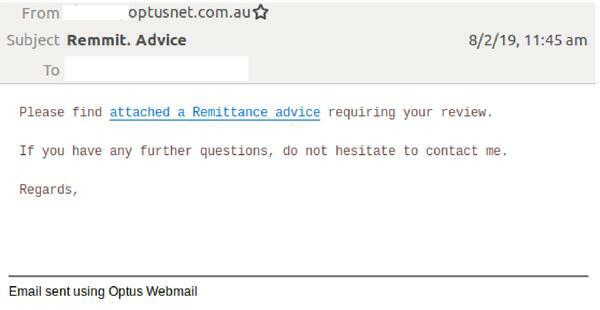 This email appears as a generic remittance advice email. The message body asks the recipient to "please find attached a remittance advice requiring your review". There is no attachment provided, rather a link to a Google Docs hosted Word document containing macros. 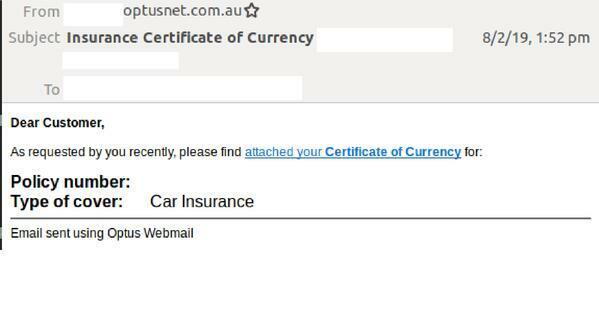 In this variation, the message body advises the recipient, that as requested, they can find attached a “Certificate of Currency" for car insurance. Once again, there is no attachment, rather a link to a Google Docs hosted Word document containing macros. This email scam is a good reminder of how innocent-looking, plain emails can, in fact, be malicious, despite where they purport to be from. As simple as they may seem, these attacks are happening all too regularly, and with devastating effect. Unsuspecting employees who click on any of the links above or download any content can inflict significant financial and reputational damage on an organisation.